Neverending fun is guaranteed with our Golf Games! The best golf free games are waiting for you at Miniplay, so 3... 2... 1... play! The Garden Park Complete all eighteen holes in this golf game for one or two players. Join this thrilling minigolf game! Enjoy the wonderful 3D graphics, aim and shoot. 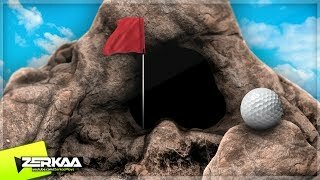 How many hits do you need to reach the hole? 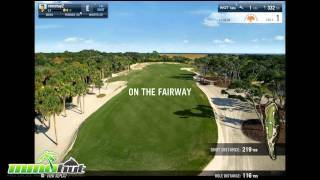 This is the most realistic golf game ever quite impressive! Improve your par with each new hole. 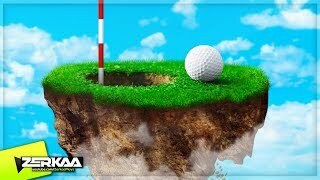 Enjoy this thrilling golf game -- put your accuracy to test and hit the hole in one! In any case, don't let your rivals beat you! Control a little golf ball and move carefully in order to score!! How many moves will it take? Choose between 9 or 18 holes and enjoy! Help Donald Trump win this thrilling golf match! Measure your power and direction in order to hit a hole in one! Have fun with a new way to enjoy golf! 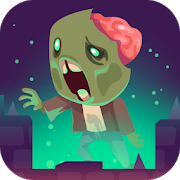 Choose a game mode, aim for 3 stars in each stage, dodge the traps and hit the holes! Start this wonderful journey to become a professional golf player! Customize your character, talk to the locals in the club to learn new tricks and fight your rivals for a high score. Unlock the secret characters and holes! Charge your club, hit the ball and get ready to score before running out of time! Have fun playing golf like never before! Calculate the right angle and power for your shot and hit the ball! 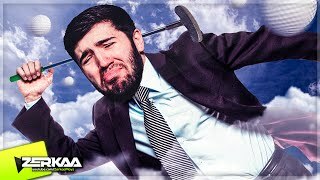 Are you good at golf? 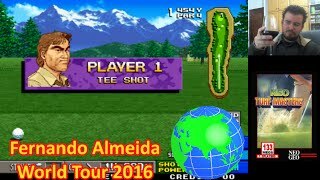 Put your accuracy to test and try to get a hole in one to win this tourament -- good luck! 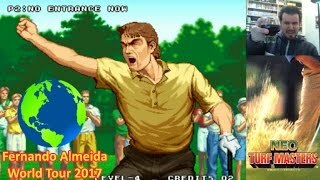 Have fun playing golf in this Neo Geo classic from 1996! Aim, choose the power of your shot and try not to overdo it. Get a hole-in-one and enjoy! Complete these 18 holes! Get the highest score by making the ball land as close to the holes as possible. Choose your club according to the hit you need and take the wind into account. Good luck! Enjoy yourself with this amazing 3D minigolf game set in a winter Wonderland! Control the power and direction of your shot and try to hit the hole in as few moves as possible. Enjoy this amazing 3D minigolf game! It's set in a beautiful fantasy world. Control the force and direction of your swing, then try to put the ball into the hole in as few hits as possible. Choose a character and take part in this golf course. Your aim is to put the ball into the given hole before your rivals do. Spend the money you get in each hole on new accessories. Dora is bored at home the weather is really bad and she can't play outside, so she's thought about making a home-made golf course. Isn't it a wonderful idea? Use logic to put the ball into the eighteen holes. Move the necessary grass blocks to make way for your ball. Even if it sounds surprising, zombies do play golf in their free time as well. However, instead of using a ball, they use human eyes. Arrange the arrows and help this golfer put the eye into the hole. There are two modes in this game: beginner and advanced. Each one of them includes 18 holes put the soccer ball into the hole with as few strokes as possible. Enjoy a day on the golf course. You'll have to finish the holes with as few strokes as possible. Just like in a classic golf game, calculate the angle and force of your stroke to put the ball into the hole. 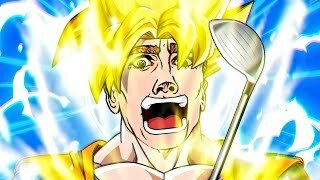 In this unique golf game you must hit the ball with your own fingers. You'll control a young pirate named Caribo who must prove his captain he's the best playing golf. Try to collect every coin in each level to get a higher score. 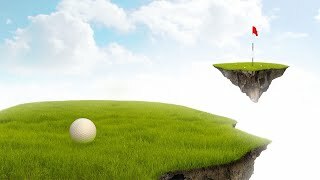 This golf game is very realistic. Complete the holes and get the highest score become Tiger Woods for a few hours! Hit the ball as fast as you can with your golf club and launch it as far as possible. Click with your mouse and swing your body. Complete every hole in as few strokes as possible. Try to catch the bonuses on the field. Choose a character and complete 99 holes in as few strokes as possible. Choose the golfer you prefer, the right club and strike the ball to put it into the hole there are nine of them. Practice a lot so you can be the very best. Choose a player, a rival and take part in a 9-hole golf tournament in Hawaii. Complete all ten holes in as little hits as possible. Use your mouse to control the force of your strokes. 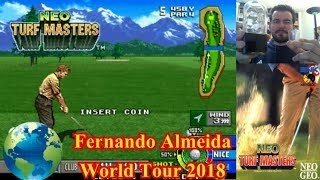 Get rid of your enemies in this game similar to golf. Calculate the angle and reach the boss! In this space-golf game you'll have to take into account the gravity of the planets. You'll have to complete eleven objectives in this golf game before becoming a pro golfer. We're pretty sure this is how Tiger Woods started. In this futuristic golf game you'll have to complete the holes in as few strokes as possible. Choose your opponent and compete in this 9-hole golf course. Take the wind into account before striking the ball. Play golf inside this ant nest and complete eighteen holes in as few strokes as possible. In this new version of the penguin game you'll have to help it cross the savannah playing golf. In this crazy sports game, you can play golf and soccer at the same time. Score a goal in as few strokes as possible! Just like in any other golf game, you have to complete all 18 holes in as few strokes as possible. This awesome game mixes action and sports. It was released by Atari in 1989, but you can enjoy this flash version now! Enjoy this classic golf game and complete eighteen holes in as few strokes as possible. Try to strike as many balls as possible on the green. Take the wind into account. Reach the flag in as few strokes as possible. Enjoy this increasingly difficult golf game. Help this golf-loving elephant complete 18 holes in as few strokes as possible. Drag the club and strike the ball as hard as you can! Complete the holes in as few strokes as possible. You've been hired to clear the golf field it's full of moles and punks! Throw balls at them all. Drive a golf cart and give the right drinks to these players. Don't let them dehydrate! 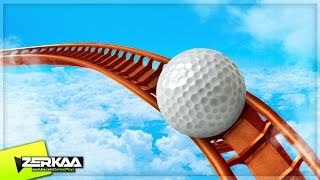 This is one of the most realistic golf games. Choose the right club for each stroke a game for experts only. Play golf inside an ant nest and compete all eighteen holes in as few strokes as possible. Up to four players can join a game. In this fun and simple golf game you'll find lots of obstacles and tracks. In this golf game for one or two players you'll have to complete all eighteen holes in as few strokes as possible. Control this bullet man, put him into a cannon and shoot him at a target, use him to play golf or do whatever you want he won't complain. It is so difficult to focus in this golf game! Don't get distracted and try to do good strokes.